Congratulations to Dr. Zhe Feng, atmospheric scientist at Pacific Northwest National Laboratory. He received a 2016 Editors' Citation for Excellence in Refereeing as a reviewer of submitted papers for Journal of Geophysical Research (JGR): Atmospheres. Feng also was honored with an Editors' Citation in 2013 for his JGR: Atmospheres reviews. JGR: Atmospheres is a journal of the American Geophysical Union (AGU). Established in 1919, AGU is a nonprofit organization of Earth and space scientists with more than 62,000 members worldwide. Feng, who got his PhD in atmospheric sciences from the University of North Dakota in 2011, joined PNNL as a postdoc in 2012. His research focuses on using radar and satellite observations, as well as high-resolution modeling, to learn more about convective clouds. 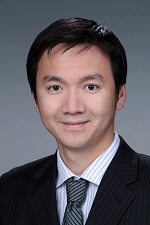 In addition to his work for JGR: Atmospheres, Feng has been a reviewer for publications such as Journal of the Atmospheric Sciences, Journal of Climate, and Nature Climate Change.